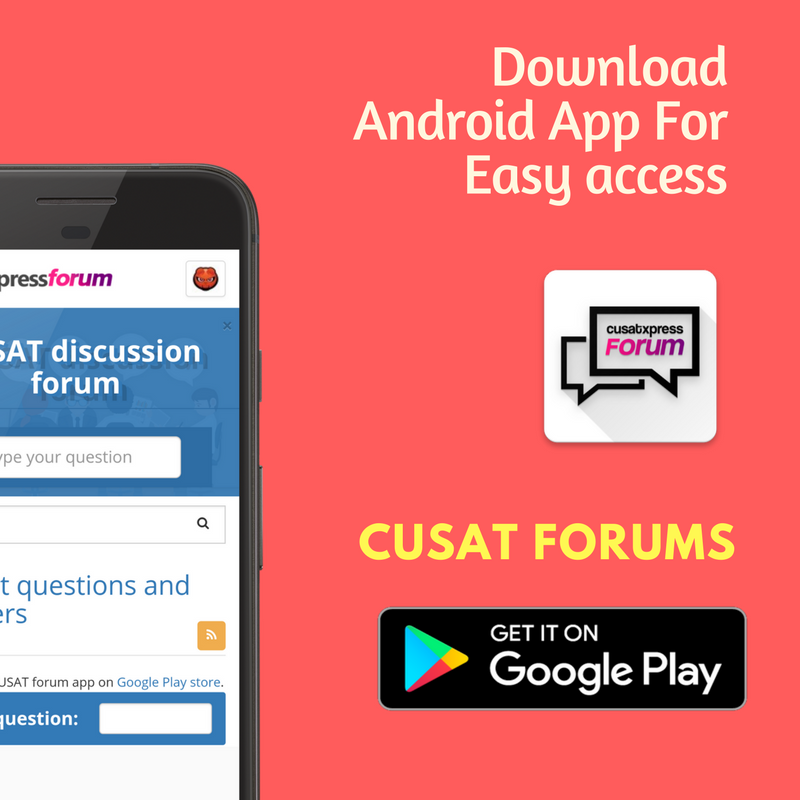 How is the examination system in SOE CUSAT? I read a lot about CUSAT on Quora and many students have mentioned that getting a good CGPA is tough and supplementary examinations are very common.Also some students mentioned that many teachers have biases against some students and hence deduct marks. It would be great if you could throw some light on the above issue and also clarify if a normal working student can get 9.0 CGPA. Dont worry lot of hard working students are achieving good cgpa so you cant say it is ungettable if you work hard you can gain good cgpa. there is no such biasing issue here.if u r regular, hard working and have gd internal marks u could easily score 9 cgpa. Actually comparing with other universities CUSAT does have a little bit tough syllabus, but it is totally not so hard. But with constant preparations nothing is impossible. Work Hard. No faculties here are friendly, but as in every system there will be some people who want to just make fun of it. there are a few faculties like that anyhow. But not everyones the same.